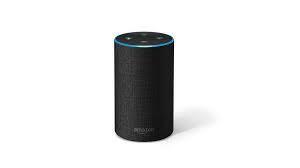 UU A Way Of Life: Ask Alexa - Are "forgiveness opportunities" a way of practicing the first principle? Ask Alexa - Are "forgiveness opportunities" a way of practicing the first principle? Alexa: Gary Renard discusses "forgiveness opportunties" as a way of undoing the ego to become more aware of the Love that dwells in each of us and I am wondering what you think of this idea? Unitarian Univeralists covenant together to affirm and promote the inherent worth and dignity of every person and this is a swell idea and easier said than done and the world would be a happier, more peaceful and joyful place if this principle were brought into application more consistently in our lives. Alexa: Did you hear what the guy called the Pillsbury Dough Boy? Yes, I believe he referred to him as a flour child.